Our mission is to improve the lives of the mentally ill and their families by the provision of mental health care in our community. Our center distinguishes itself by its commitment to the highest code of conduct and quality of care possible for consumers of mental health services and their families. 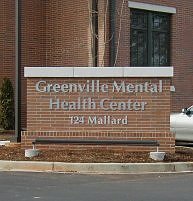 All employees subscribe to the center's mission and it's statements of priorities and values, and express those values in their commitment to consumers of mental health services and their families; to the highest quality of clinical care; and to the Department of Mental Health and the state of South Carolina. The center consists of 140 clinical and clerical staff members including eight doctors and 13 nurses.